STEP 1. Begin like we always do. 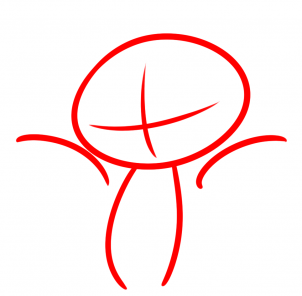 Make a circle for the head guide and another shape for the torso or body guide. Sketch in the facial guidelines along with the wing guides. STEP 2. 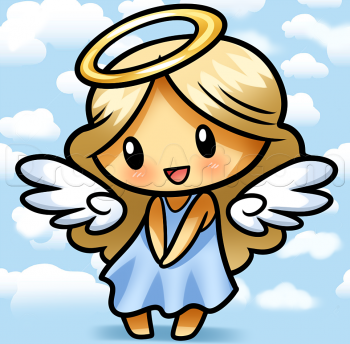 Define the shape of the angel's face like so, then draw in her parted hair and head shape. STEP 3. Up next, draw the shoulders and body. 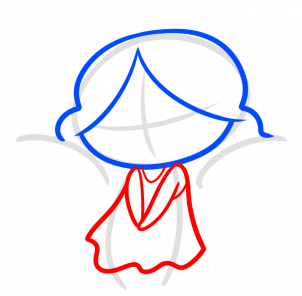 As you can see her body is drawn to look like a simple gown. 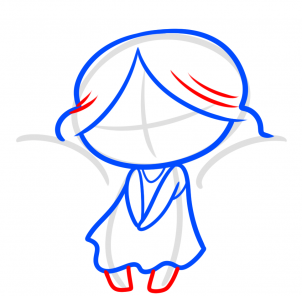 We will draw in the chibi style arms and then proceed to step four. STEP 5. Here is the fun part. 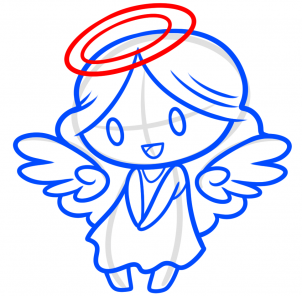 Before you draw in the chibi angel wings, you must first draw the ends of her hair in a wavy pattern or lining. 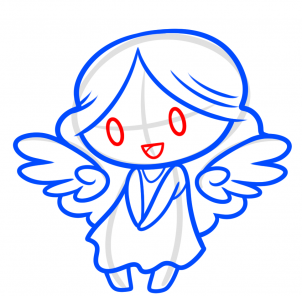 When the hair is drawn, than you can draw the cute wings. STEP 6. 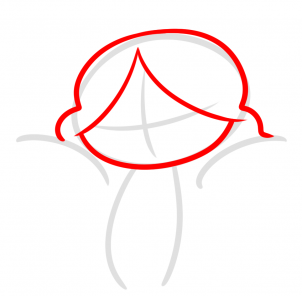 Make the small oval shapes for the eyes and then draw the mouth/tongue. STEP 7. Finally, draw the halo on the head and then you are all done. Erase your mistakes and all the guides before you proceed to step eight. STEP 8. 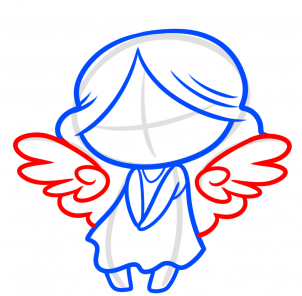 The line art comes out looking like the drawing you see here. Color in the image and that's it.